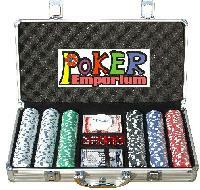 We carry sets of 300, 500, or 650 pc. 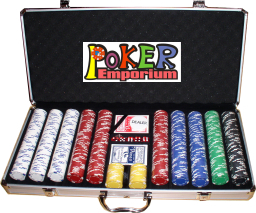 Professional Quality 39mm 11.5 Gram Clay Composite Poker chips. Just like the chips used in Las Vegas. Our chips are made from high quality composite resin with a metal insert to add weight which gives our chips a heavy professional feel. These are the finest clay composite chips available. 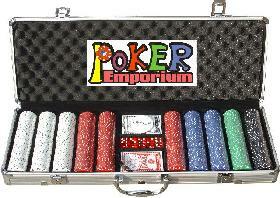 With these chips, you will feel like a pro at your next poker party. Do you have a Discount Coupon? Enter the number here prior to entering you order.